There was still a little over three minutes left to play in Game 1 of the WNBA Finals. 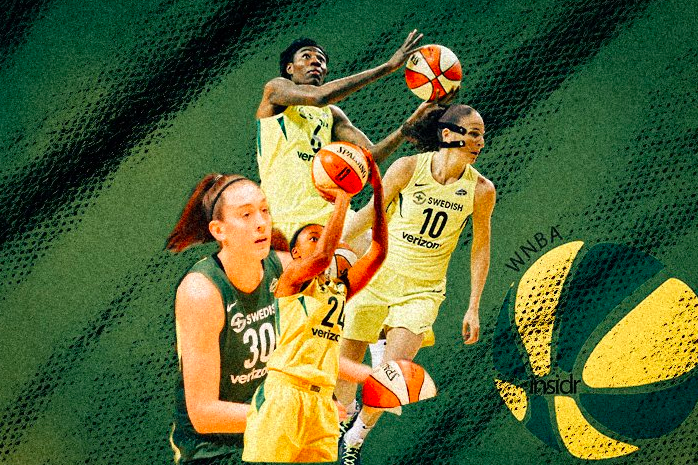 The Seattle Storm starters - all of them – made their way to the bench. Their job was done and so was the game in their minds. They did what they came to do, which was to make a statement in the series opener. And that’s what the Storm did in Game 1 of the WNBA Finals as they put together a solid, wire-to-wire game to defeat the Washington Mystics, 89-76. Shooting a little over 54 percent from the field – including 5-of-12 from three-point range - and holding an 18-0 advantage in fastbreak points, the Storm came out quick, fast and blasting on all cylinders and never looked back. Their defense and offense were top notch as they forced turnovers, got stops, pushed the pace and had their way with the Mystics. The Storm’s Big 3 – Breanna Stewart (20 points), Jewell Lloyd (23) and Natasha Howard (17) – combined for 60 points. The team led by as much as 27 points and never panicked, even when Washington staged a comeback midway through the fourth quarter that saw the lead cut to 16 with six minutes remaining. It was all Storm from the beginning as they came out laser focused on the task at hand and promptly outscored the Mystics 24-13 in the first quarter, 24-19 in the second quarter and 29-21 in the third quarter. The matchup between Stewart (2018 MVP) and Elena Delle Donne (2015 MVP) – both of whom can score and defend on the perimeter and inside – was lopsided at best. Delle Donne, who is still suffering from a bone bruise on her left knee from Game 2 of the semifinals, finished with 10 points. Seattle took the season series against Washington 2-1, with each team winning on its home court. This is the Storm's third trip to the Finals, after having won titles in 2004 and 2010. Bird was a member of both of those teams. Washington is in the Finals for the first time since the franchise debuted 20 years ago. The Mystics will attempt to get even in Game 2 of the series on Sunday at 3:30 p.m. ET.